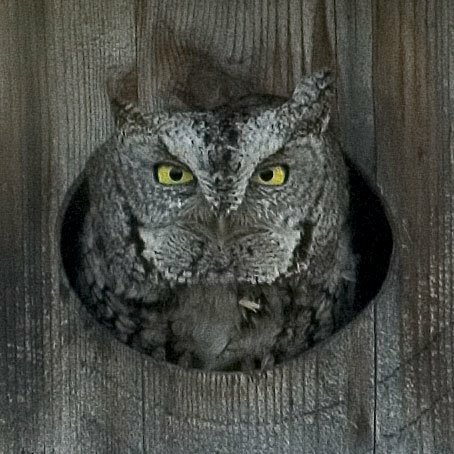 I got up with the lark this morning and drove from Burlington to Ruthven to try to get a shot of the Screech Owl in the Wood Duck box by the vernal pool behind # 2. The light wasn’t too good at 7:00 AM and I was teetering on a fallen log so the attached picture is the best I could do. And you’re apologizing for this shot! ?